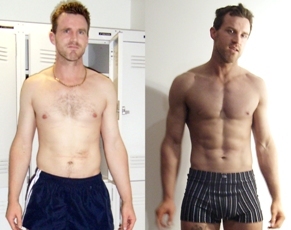 Don't ever think you can't Transform Your Body. You can. Because if they can do it, you can do it. The Success Stories below come from real-life people just like you. All of these people live busy lives and have numerous demands on their time, whether in their career, business, or family life. Look closely at their before and after photos, and read their stories. You can discover that the benefits they all have gained go way beyond skin-deep. And remember, the challenges that you may face now are likely to be the same ones they have faced and overcome. 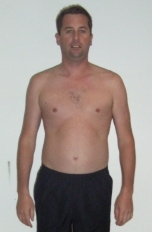 "During my Program I learned how to use a gym, improved my body shape, came down 2 clothing sizes, replaced my wardrobe, improved my skin, increased my energy levels, improved my relationship with my wife, inspired my son, increased my self-esteem. 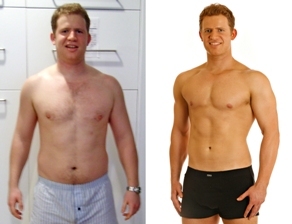 I have changed my life in 10 weeks, and I know I can maintain it." 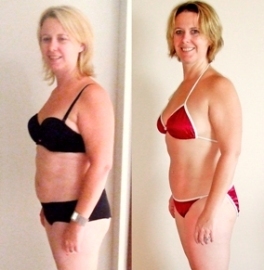 "Without Body Transform I could not have found a new way of eating and exercising that continues to be part of my every day life well after my Program finished." "What I saw from Body Transform was not just a chance to get fit and have a great physique, I saw an opportunity to change my life. Now I can tell you that my life has changed. 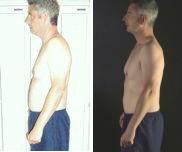 The skills you learn throughout the Body Transform Program allow you to transform not only your physical shape, but also your mental focus and your ability to apply yourself"
"I don't think I ever really believed I could transform my body - it wasn't till I had my final photos done that I was able to look at myself with completely new eyes! This has given me completely new confidence to be the absolute best me I can be." "My constant excuse had been that I was really busy with my startup businesses, and I would focus on my body when things settled down and I had more time and less stress. The reality is that I have always been busy with limited free time, and if I waited for the “perfect” time to get in shape, it would never happen. Now I feel confident and proud, and I’ve gained confidence in my ability to commit to something and consistently follow through to achieve a great result." "I had been telling myself that I was “ok” with my body the way it was, as I was focusing on other areas of my life, and once I got those under control I could then focus on improving my body. What I didn’t realise is how much of an impact exercising using the Body Transform program would effect and energise other areas of my life. Now I have more energy for work and for play and have more confidence in going after what I really want in life!" "I woke up at 6am one morning (feeling at my all-time lowest) and knew that if I didnt push myself to make a decision right then and there - that I would never have any control of the way I was feeling and my bad eating habits. 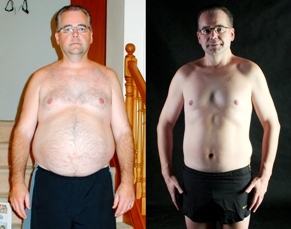 I had to do something about it and get back into shape..."
"I would like to thank Phil for all his support and assistance throughout the program - I am certainly pleased with the results to date. And I love the continued positive comments from people!" "You learn how to do things the correct way rather than labouring on your own… also having Phil for motivation and to discuss things about your program and body changes is brilliant. To have the support whilst you are going through this life transformation is invaluable." Follow the success of others and make your own exciting change.